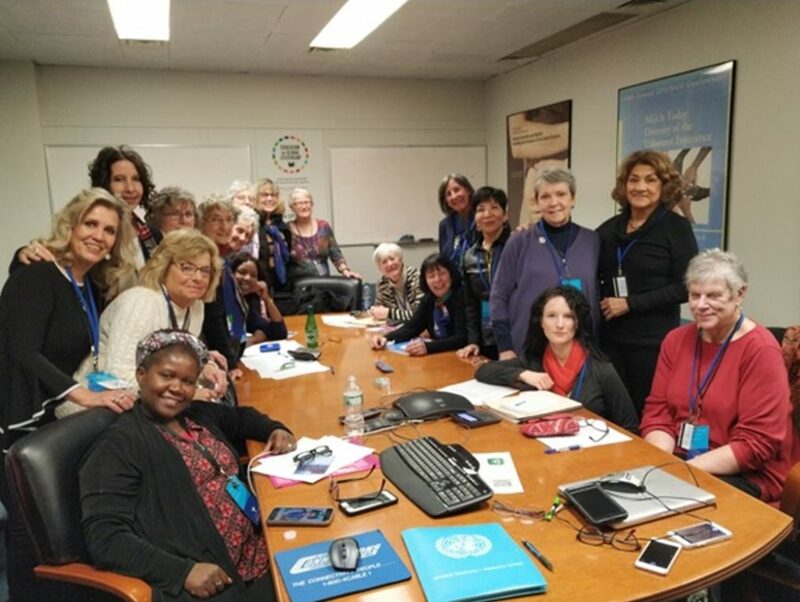 The purpose of the meeting was to exchange experiences on the preparation and monitoring of Periodic Reports of the States and Shadow Reports of Civil Society and the Academy before the CEDAW Committee and strengthen the CEDAW GLOBAL NETWORK to expand the channels of communication and good practices among all the actors involved at national and international level. 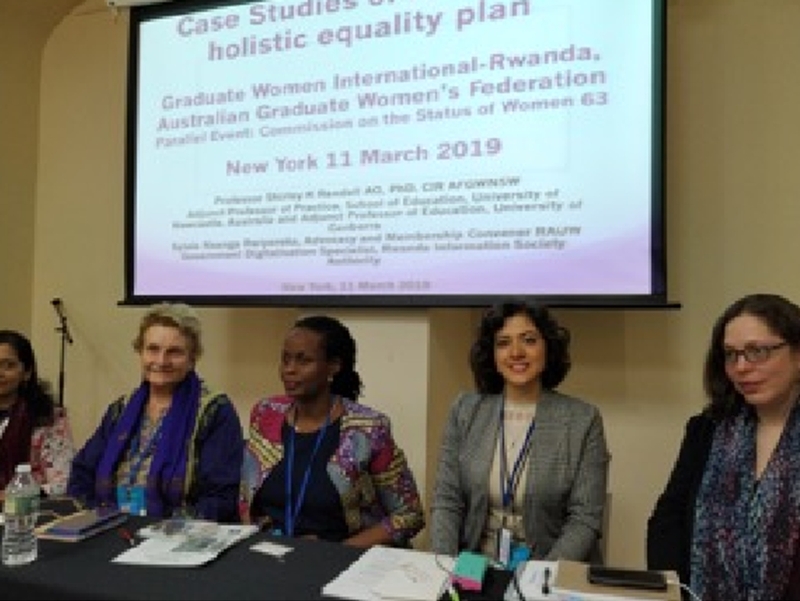 In addition GWI organized the side event “Women’s Empowerment through a Holistic Approach to Education”, in which members of various national Federations participated: Shirley Randell, Nsanga Rwiyereka, Jaya Dantas, Nolwazi Ncube, Nayana Guerrero (FEMU) and Jennifer Rigg. The focus of the event allowed addressing the issue of women’s empowerment through education, in different parts of the world. M.A. Guerrero presented the theme “Empowering Women and Girls through a Holistic Approach to ICT Education “, where she pointed out the challenges of digital inclusion of women in education. She made a comparative study between two initiatives, one Mexican and one American, which aims to awaken girls’ interest in science, technology, engineering and computing. Each month we translate into Spanish and inform our associates of the activities carried out by Graduate Women International. During March, the following activities were carried out at the Women’s Museum of Mexico City: 9 courses and workshops, 4 conferences, 3 editorial presentation of a book, 4 reproduction of genre cinema films, 4 reproduction of youth club cinema films, 1 Night of Museums and 1 movie reproduction of the Mexican film exhibition circle. 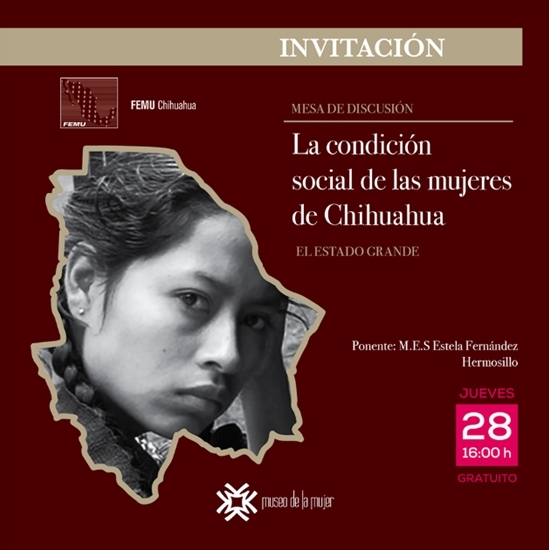 Our most important event was the round table “Social Condition of Women in Chihuahua. The Big State” (La condición social de las mujeres de Chihuahua. El estado grande), by the M.A. 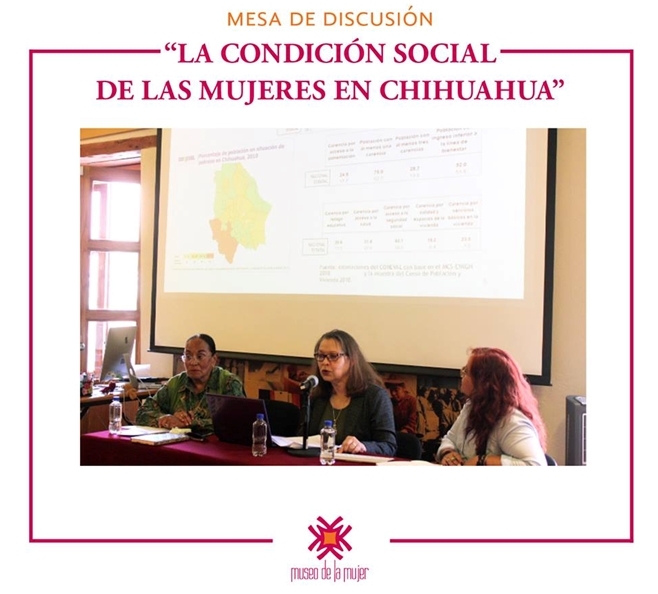 Estela Fernández, she gave an overview of what it means being a woman in economic and social terms in Chihuahua, explaining how poverty does not allow her development in society and triggers the gender gap, discrimination and violence, especially feminicides. In this month we received a total of 3,307 people, of whom 2,049 were women and 1,258 men. We produce a weekly radio program entitled: “Mujeres a la Tribuna”, (Women to the Stand), broadcast nationally by the Mexican Institute of Radio (IMER, in Spanish), coordinated by Historian Patricia Galeana, PhD, and presented by Lourdes Enríquez, M.A. FEMU is the first organization of the Civil Society to have a program on Ciudadana 660 (Former Radio Ciudadana 660 AM) of the Mexican Institute of Radio, IMER.